To order publications, you can download a paper form, order online by selecting the publication below, or purchase through the CISCA E-Store. Members receive a discount on publications. If you are a member, Log in before placing your online order to receive the discount. Problems logging in? Contact us at 630-530-1919 or cisca@cisca.org for help. CISCA's publications are a must for your technical and training library. Many of the guides are specified in building codes or referenced in construction specifications nationally and internationally. Browse our list (below) of technical publications available for purchase through our E-Store. Most of the publications are available for immediate download. Click on the title of the publication to view the first page or table of contents of that publication. Don't miss another issue of the newly redesigned Interior Construction magazine, "The Resource for the Ceilings & Interior Systems Construction Industry." Our features examine leading industry issues and trends like specialty ceilings, LEED, acoustics and more. Each issue features industry news, new products, columns from industry experts and CISCA news and initiatives. Subscribe today! No returns on publications. Questions? Call 630-584-1919. An engaging history of CISCA from its inception in 1950 to the present day and beyond. This publication is free to members in a PDF format. Click here to purchase the CISCA publication. This publication has complete information on properties of sound and acoustical materials, terminology and installation, as well as a comprehensive evaluation of acoustical ceiling systems. Covering almost everything you need to know about ceiling installation, this publication explains the proper methods of installing various types of systems allowing you to train your employees more efficiently and effectively. Ceilings are functional and decorative, but also are affected by the uses and needs of the facilities in which they are installed. Exposure to heat, humidity, salt water and other conditions can have potentially adverse effects on the materials used. This all-new publication is a resource for challenging applications that you might come across. Its intent is to highlight certain challenges as well as guide you to the right resources, guidelines, and information that are available so that you can make the right decisions as you move forward with your project. Covered in this expert publication are: Data Centers, Healthcare, Metal Security Ceilings, Swimming Pool Areas and Ship Ceilings. This guide will assist with the design and specification of customized acoustical wall panels, and the selection of the most effective materials for each wall application. Learn about glass reinforced gypsum products, with emphasis on relating all necessary steps essential for complete and successful products. Developed by industry manufacturers and contractors, this is the first industry technical publication to guide the selection and specification of metal ceilings. 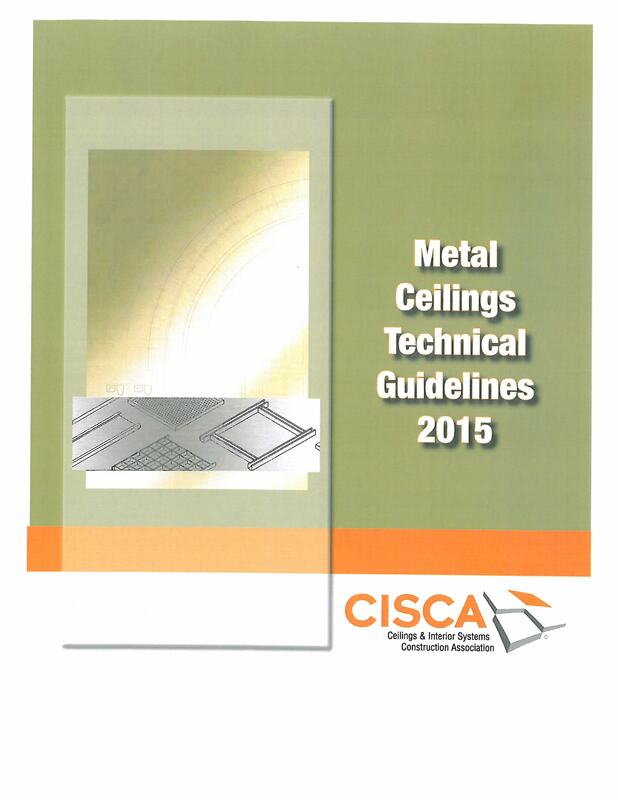 CISCA's Security Ceiling Committee produced this book to help justice facility owners, designers, and contractors select metal security ceiling products that provide design solutions for today's detention facilities. This publication recommends test procedures and reporting formats that have broad applications. Each test is described by its purpose, preparation, procedures and reporting methods. New sections include Uniform Load testing, Drop Impact Load testing, Fire Performance and Air Leakage. Seismic Construction Handbook - New for 2018! Codes can only cover the most common construction installation and, by their nature, give only sparse details about how to implement their requirements. The CISCA Seismic Construction Handbook is intended to cover other commonly encountered installations. 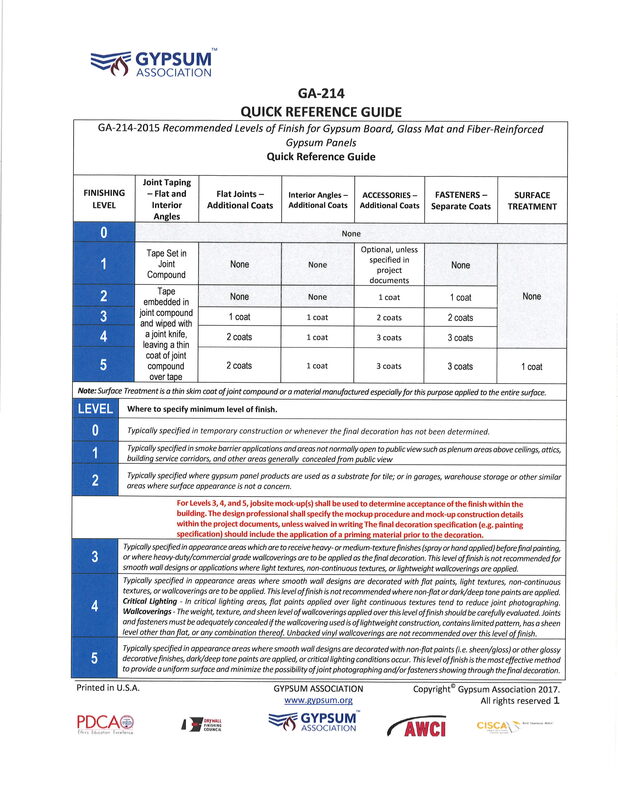 It not only covers these situations, but gives detailed advice, tips, and illustrations to help both contractors and inspectors ensure that ceilings installed in seismic areas are installed correctly and economically. The purpose of this publication is to serve as a guideline for architects, designers and contractors on the design, manufacture, handling, installation and maintenance of wood ceiling systems. This publication is a free download. Click on the link above or go to the e-store, pdf copies, to download.